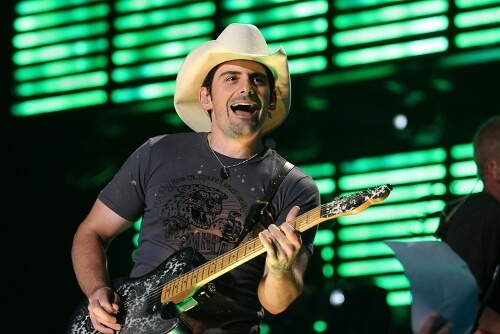 Brad Paisley is no stranger to the spotlight in the country music community. He has released tons of CD's, won dozens of awards, created impressively catchy country anthems, and has collaborated with musicians from all genres like Demi Lovato, Timbaland, Mick Jagger, LL Cool J, Keith Urban and Carrie Underwood just to name a few. Get ready to sing a "Whiskey Lullaby" because Brad Paisley is heading out his Weekend Warrior World Tour with Dustin Lynch, Chase Bryant & Lindsay Ell. Now don't get into a "Cluster Pluck" about finding tickets and checkout all the seats we still have available at Rad.Tickets for every US concert date today!